Handcrafted card (or art print! 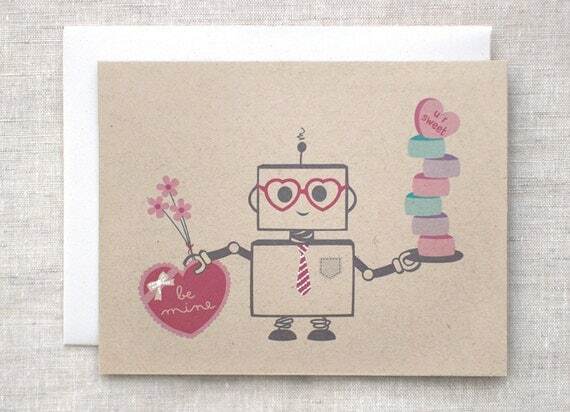 ), this kawaii gray colored robot is holding a stack of candy hearts in blue, purple and pink with a "u r sweet" message on the very top one. He's also wearing super cute & nerdy red heart shaped glasses with a red striped tie and box of chocolates that says "be mine". Parts of the tie and bow on the candy box have been hand painted with water based white paint.